Colorectal cancer is the third most-common cancer diagnosed in the United States, with about 93,090 new cases each year. Around half of those cases harbor mutations in the KRAS and BRAF genes; these forms of the disease are more aggressive and don’t respond well to current therapies or chemotherapy. 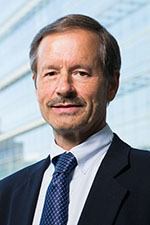 In a study, published Nov. 5 in Science, a team of researchers from Weill Cornell Medicine, Cold Spring Harbor Laboratory, Tufts Medical Center, Harvard Medical School and The Johns Hopkins Kimmel Cancer Center found that high doses of vitamin C — roughly equivalent to the levels found in 300 oranges — impaired the growth of KRAS mutant and BRAF mutant colorectal tumors in cultured cells and mice. The findings could lead to the development of new treatments and provide critical insights into who would most benefit from them.